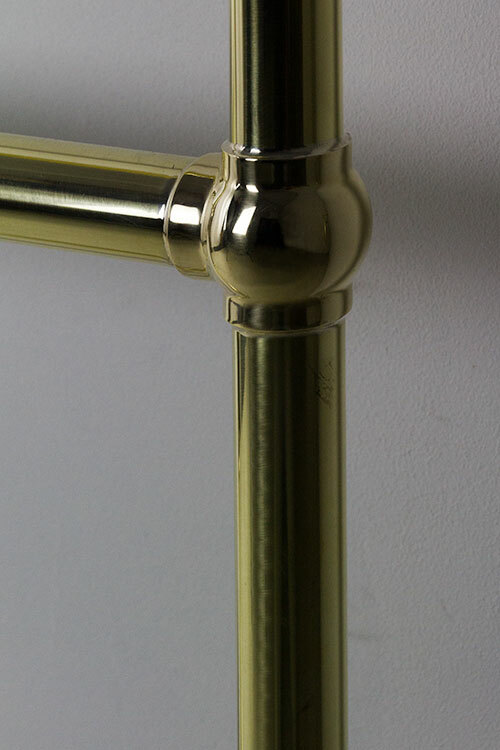 Handmade in the UK using the traditional methods, the Eden Towel Rail is a classic design in polished brass finish, ensuring the highest quality in manufacturing and materials. 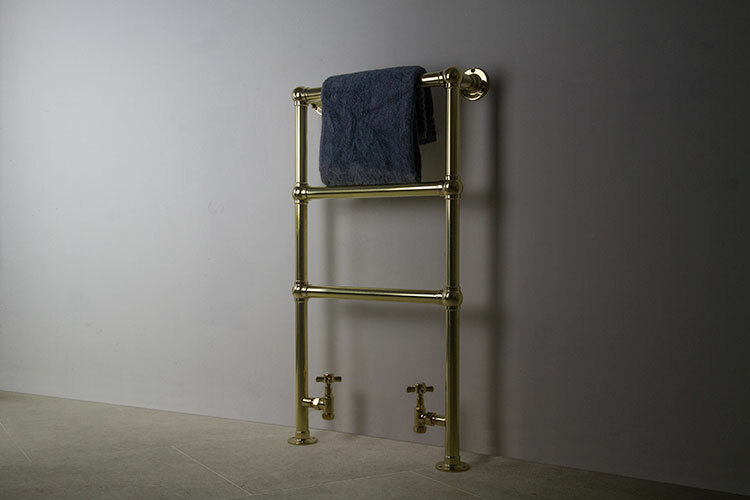 This polished brass towel warmer has a hard-wearing coating to prevent tarnishing. 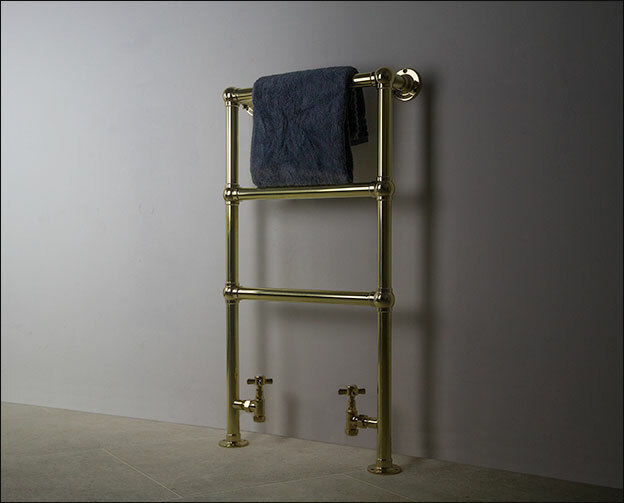 The Eden heated towel rail can also be supplied in a natural brass plated finish to allow the rail to age and patina over time. 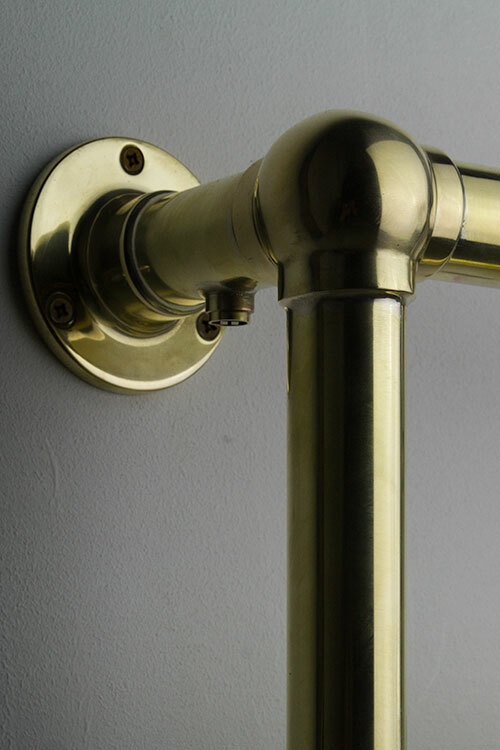 Dual fuel and electric only towel rails are fitted with hidden electric elements. 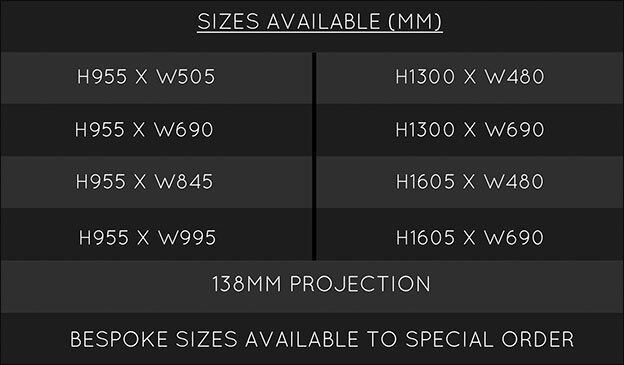 This product is manufactured to special order so please allow 6 weeks for delivery. 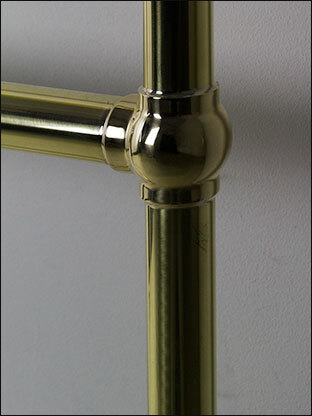 The Eden towel rail is available in the finishes of chrome, nickel, gold, copper, black chrome and brushed or polished brass. 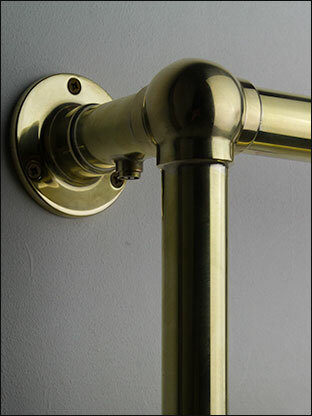 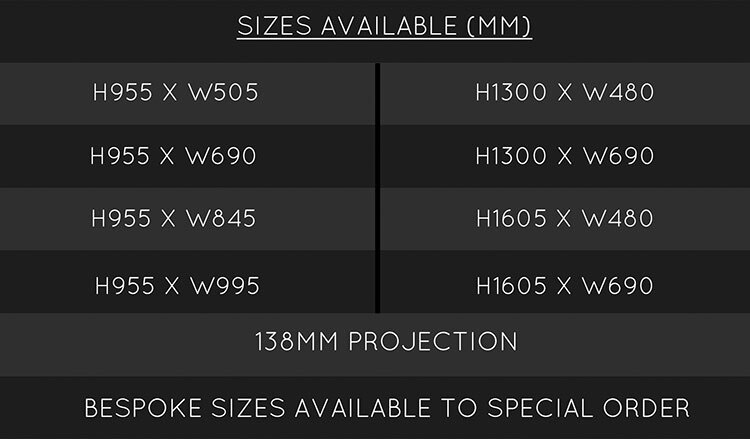 • Also available in chrome, nickel, gold or copper.